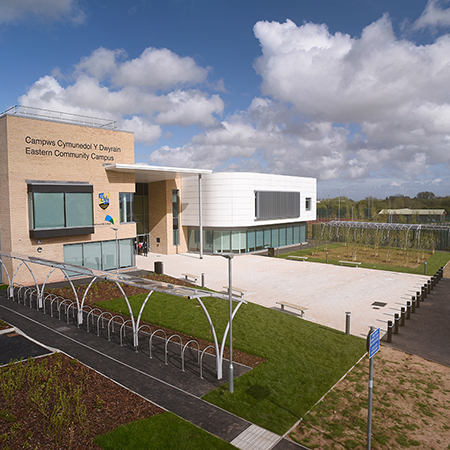 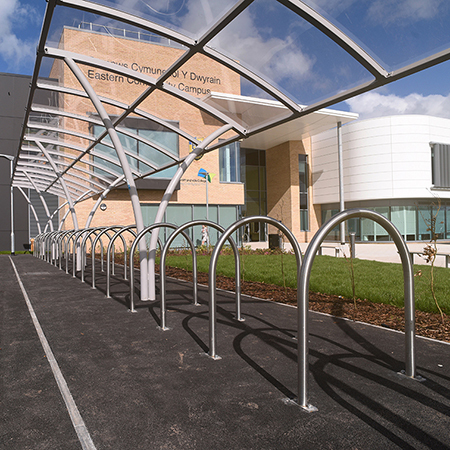 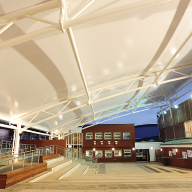 Working with the main contractor Willmott Dixon, Broxap were asked to provide a wide range of external furniture and canopies to Eastern Community Campus, Cardiff. 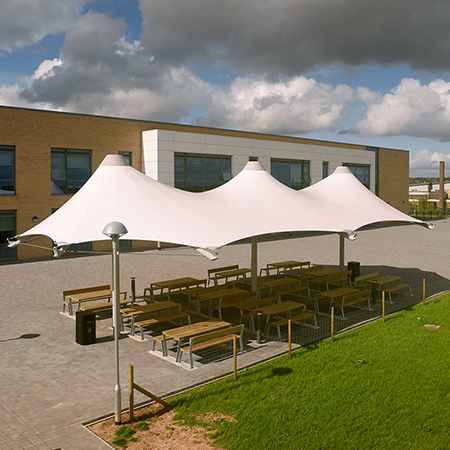 Included in the package was a waterproof fabric (white PVC Mehler 7269) triple Conic tensile canopy to be used as an outdoor dining area. 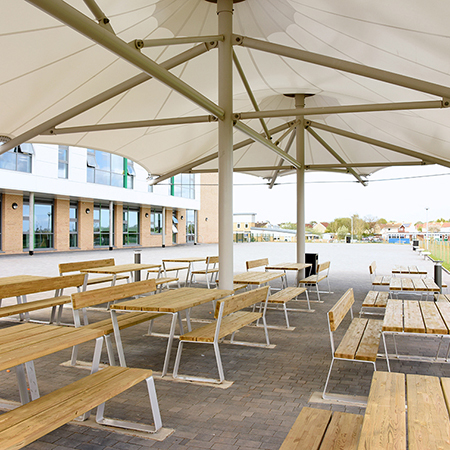 Broxap also supplied a series of steel and timber picnic units featuring softwood timber slats with a powder coated galvanized steel framework. 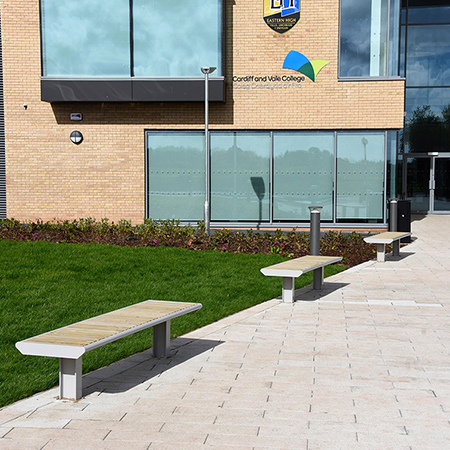 They also produced a series of benches again with a galvanized steel framework and FSC® treated softwood timber slats. 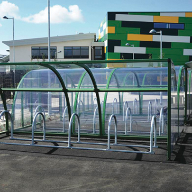 A series of Apollo cycle shelters with a capacity for 40 cycles on Harrogate stainless steel cycle stands was supplied for cycle parking. 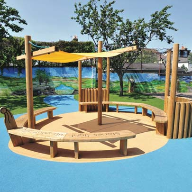 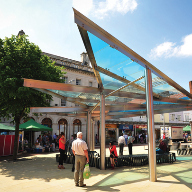 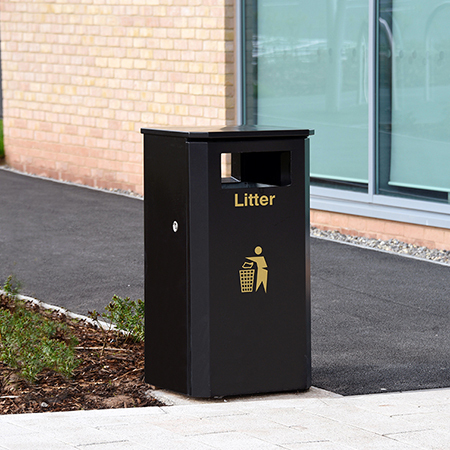 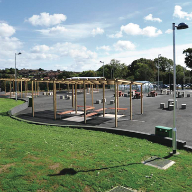 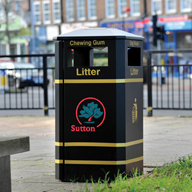 Harrogate stands were also utilised as outdoor door barriers to the main buildings, whilst a series of Derby Eco steel bins were provided to collect litter on play areas. 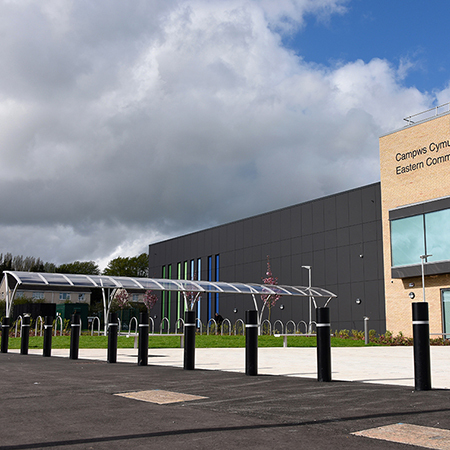 To provide access control at the front of the school Broxap supplied a series of Hastings steel bollards, these were coated with RAL 9005 black. 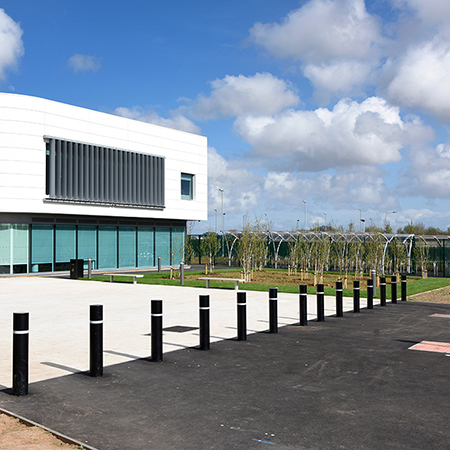 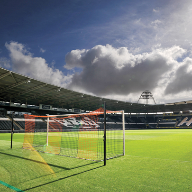 Due to the coastal location of the project steel products all received protection via elements such as a Zinc Rich Primer undercoat. 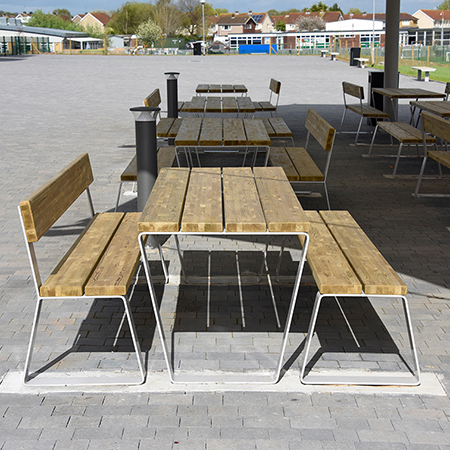 Elements such as the picnic units also received an anti-graffiti coating. 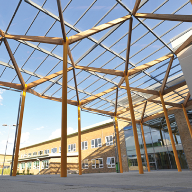 Broxap manufactured all elements to specification required and installed on site in-conjunction with Willmott Dixon’s building phases.